The individual molecular profiling of tumors using NexGen Sequencing to identify specific, targetable genetic alterations. Precision oncology is a type of personalized medicine in which a cancer patient's tumor is profiled using NexGen sequencing in order to identify specific targetable genetic alterations. These alterations can then be treated with drugs that can uniquely act on them, thus increasing positive treatment outcomes. To date, the most well-understood treatment for various types of cancer has been a combination of surgical resection of the tumor combined with a regimen of chemotherapeutic treatment. However, in addition to surgical limitation for resection (some tumors cannot be resected without causing more damage to the patient, known as inoperable tumors), this method of treatment has many adverse effects associated with it. Specifically, many major chemotherapeutic agents target cellular processes associated with cell cycle, which means the cytotoxic agents can have negative affects not only on cancerous cells, but on all rapidly-dividing cells including hair, nails, skin, stomach lining, and immune cells. This unintended consequence can leave the patient weak and susceptible to secondary infections, which can be fatal. In the 1990s, when oncology began to rapidly expand as a field, almost all cancer treatments outside a few successful targeted therapies, most other chemotherapeutics were based on killing cycling cells. Because of the many issues with traditional cancer treatments, drug developers have shifted toward ﻿targeted therapeutics that aim to recognize unique characteristics of cancer cells, therefore sparing most healthy cells. While this has been an effective advance that has resulted in fewer, more manageable side effects for cancer patients, the inherent differences between the many types of cancers has made it impossible to generate effective targeted drugs that work for all cancers. ﻿Cancer as a disease and its surgical treatment was acknowledged as early as 1600 B.C., and several times after that. However, although the term oncology was coined by the Greek physician Galen in the second century, it primarily consisted of surgical treatments until halfway through the 20th century. The so-called "age of chemotherapy" arose after World War II when medical professionals and scientists were studying series of chemicals that soldiers had been exposed to during the war in an effort to understand their effects and to identify protective measures against these effects. One of the chemicals they were studying, the mustard gas derivative nitrogen mustard, was found to interfere with white blood cell proliferation, and when tested on animals with lymphomas (cancers of the lymph nodes), they went into remission. This laid the groundwork for further studies of chemical treatments for cancer, and in 1947, Dr. Sidney Farber showed that a chemical known as aminopterin could successfully treat pediatric leukemia in human children, albeit temporarily, opening the floodgates for oncological drug discovery. The definition of targeted chemotherapy has evolved over the last three decades as we have learned more and more about what distinguishes cancer cells from healthy cells. It can be broadly defined as a chemotherapeutic agent aimed at unique characteristics of cancer cells. The earliest version of this was hormone therapy. The earliest groundwork for hormone therapy was laid in 1847, when Thomas Beatson noticed that rabbits that had had ovariectomies (ovary removal) stopped producing milk, establishing a functional link between the breast and ovary tissues. He went on to treat a patient with recurring breast cancer with a bilateral ovariectomy, and reported that that patient went into complete remission and survived for 4 years after the surgery. Although the underlying hormone Estrogen was not yet identified, and his rationale for the surgery turned out to be incorrect, Beatson laid the groudwork for modern day hormone therapy. Since the late 19th century different versions of targeted chemotherapy have been introduced, including radioactive iodine treatment for thyroid cancer in the 1940s, and, following the 1962 identification and characterization of the estrogen receptor﻿, the development of Selective Estrogen Receptor Modulators (SERMs) in 1977 to treat estrogen receptor positive cancers. The first successful molecular targeted therapy, meaning it targets cancer cells at the level of the molecular signaling pathway, was with the drug imatinib. This drug treated a unique kind of leukemia: chronic myelogenous leukemia cause by the Philadelphia chromosome. In this kind of cancer, the Philadelphia chromosome produces an overexpressed fusion protein called BCR-Abl tyrosine kinase, which does not occur in normal cells. Imatinib is an inhibitor that specifically targets cells expressing BCR-Abl tyrosine kinase, thus suppressing the growth of Philadelphia chromosome-positive cells with less harm to normal cells. This major landmark in targeted molecular therapeutics led to the rapid development and approval of many new drugs, both small molecules and immunotherapeutics (antibodies). However, many drugs initially approved were found to lack efficacy or to have unbearable side effects, and were removed from the market. Despite these early setbacks, many more successful targeted therapies have been introduced. Although these advances in more targeted chemotherapies have decreased the morbidity of cancer over the past few decades, both traditional and targeted chemotherapy are hindered by another level of complexity in tumors: different patients can have the same type of cancer, but can exhibit different genetic anomalies, which can change how a patient responds to treatment, or even result in drug resistance﻿. Precision oncology aims to address these issues by using personalized medicine to identify patient-specific "actionable" mutations that can be targeted with drugs to quicky and effectively kill cancer cells with minimal side effects to the patient. 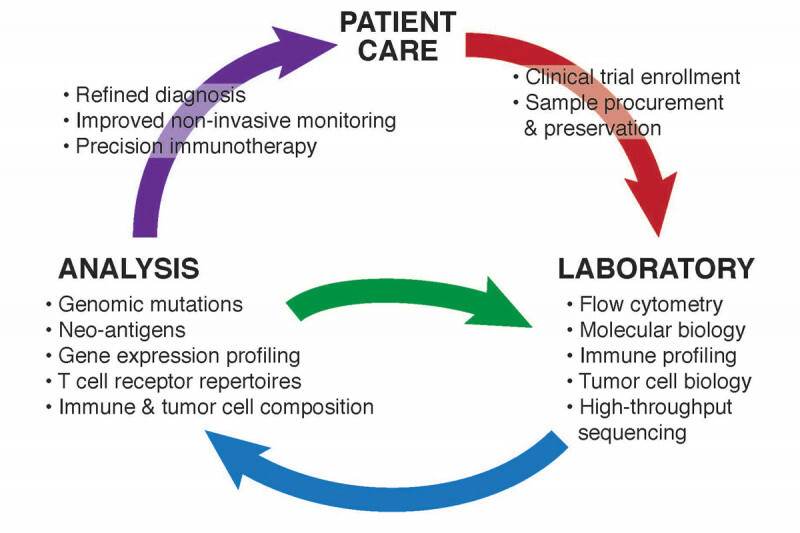 ﻿Precision oncology involves sampling a patients tumor and subjecting it to next generation sequencing (Figure 1), resulting in a "cancer genome" that clinicians can use to identify actionable mutations. This information can then be used to make more specific, less invasive treatment decisions, provide better monitoring during and after treatment, and to determine the best candidates for drug trials (Figure 2). Currently, comprehensive treatment using precision oncology has been limited to clinical trials, and success in using these approaches have been mixed. ﻿﻿﻿Various retrospective studies﻿﻿﻿ have touted the potential success of precision oncology, showing that between 80% and 90% of patients tested have potentially actionable genomic alterations. However, a retrospective study is one that looks backwards to examine an outcome that is established at the start of the study, meaning they have substantial bias. Moreover, the definition of "actionable" across these studies varied substantially, giving some doubt to these optimistic estimates, and demonstrating the novelty of this process. The first prospective study aimed to use molecular profiling to assign matched therapy did not show favorable outcomes for the matched group. However, this study was plagued by serious methodological issues. Widely known as the SHIVA study, it represented the first randomized study using precision oncology. The trial studied 195 patients with any metastatic solid tumor cancer, and followed them for nearly a year after treatment. Patients were randomly assigned to receive either molecularly targeted agents that were already developed and approved for other uses and thus used "off-label". The agents were assigned either on the basis of the molecular profile of the tumor or based on the physician's choice (representing the randomized control). ﻿Although the study leaders themselves touted this as a failure, saying it demonstrated that precision medicine isn't as promising as previously thought, and that off-label uses of drugs should be discouraged﻿, other scientists have challenged this, pointing out that most cancer patients have multiple actionable mutations and are unlikely to respond to monotherapy (treatment with a single agent). They also pointed out one of the most concerning issues of the study: patients randomly assigned to targeted therapy were treated using the SHIVA predefined algorithm, whereas the control group was assigned therapy by the physician who could take into account a patient's comorbidities. Despite the negative results of the study, this first clinical trial opened up a discussion among the medical and scientific communities as to how to continue to improve these trials in the future. While the SHIVA trial took a broad approach, other trials have focused on developing precision oncology in a specific type of cancer. One such group of researchers conducted a trial the called the BATTLE trial: Biomarker-Integrated Approaches of Targeted Therapy for Lung Cancer Elimination. This trial went through both Phase I and Phase II trials, and like the SHIVA trial, also had methodological issues followed by insignificant changes in disease control rate compared to control after 8 weeks of monitoring. However, Phase I of this trial successfully demonstrated the feasibility of repeat tissue biopsies, a necessary capability for long-term molecular-based cancer treatment. It also demonstrated the success of biomarker-directed assignment of treatment regimens based on trial results, incorporating adaptive randomization toward regimens with more efficacy compared to controls, a cornerstone of precision medicine. This group's most recent trial, entitled BATTLE-2 Program: A Biomarker-Integrated Targeted Therapy Study in Previously Treated Patients With Advanced Non-Small Cell Lung Cancer, focused on the efficacy of the various treatment regimens for the approximately 20% to 25% of patients with advanced non–small-cell lung cancer, whose tumors contain a mutation in the GTPase gene KRAS. In this population, which represents the largest ever molecularly defined subset of non-small cell lung cancer patients, initial tests using the drug sorafenib has shown a promising preliminary activity. However, end results of the trial demonstrated no clear significant in disease control rate in any of their treatment groups. Because of these variations in methodology and the wide array of variables yet to be understood, precision oncology is still in its infancy, and patients can only receive this type of treatment as participants in clinical trials. However, these inital trails have opened the door for discussion among the scientific community about their shortcomings , which will ultimately lead to improvement in the planning and administration of the trials. Many further studies must be conducted before we can accurately assess the success of this very new therapy. In theory, precision oncology is the way of the future. It has the potential to allow doctors to treat even the most rare or diverse cancers. Many doctors contend that with genomic based medicine, treatment will be more effective and survival rates will increase. However, as with most paradigm shifts, there has been substantial criticism as pushback, and with good reason. Although promising, precision oncology has several limitations that must be addressed before it can be considered the standard of care for cancer patients. ﻿either hasn't yet been developed or is poorly optimized. Because of this issue, drugs, which have been developed using shortcuts on the basis of low standards, can be approved on accelerated basis. The desire to put forth new treatments despite this low threshold undermines the ability of scientists and clinicians to adequately test their hypotheses. Reminiscent of the boom in targeted therapeutics in the 1990s, this introduces the risk of prematurely replacing existing effective therapies with more costly ones, merely on the basis of a preclinical or retrospective rationale, and unproven or weak preliminary evidence. Current chemotherapeutic conventions find that for most cancers, a single drug isn't sufficient to treat and often use combinations of drug to successfully induce remission. Concordantly, one of the greatest challenges perturbing precision oncology from becoming the standard of care will be the ability to design appropriate drug combinations to treat the multiple actionable mutations that will be identified in tumors. This can introduce a proverbial needle in a haystack search, since most available drugs can act on many substrates. For example, kinase inhibitors have varying substrate binding affinities, and can have inconsistent on‐target and off‐target effects. In addition to potentially altering the efficacy of specific drugs, this can lead to serious issues with toxicity, which can result in the discontinuation of the drug. Because of the targeting issues presented in drugs that are already available, it is clear that successful precision oncology will require massive development of new drugs or alterations of existing drugs to improve targeting. However, this is no small feat. Even in terms of current targeted therapies, drugs are not yet available for many cancer drivers, at least partly due to the tremendous cost in both money and time. In addition, the genomic signature from one part of the tumor measured at a certain time point likely does not represent other parts or different time points of tumor development. With regard to drug development, this dramatically increases the amount of drugs that would need to be available to treat different kinds of cancer, presenting a huge hurdle for precision oncology. 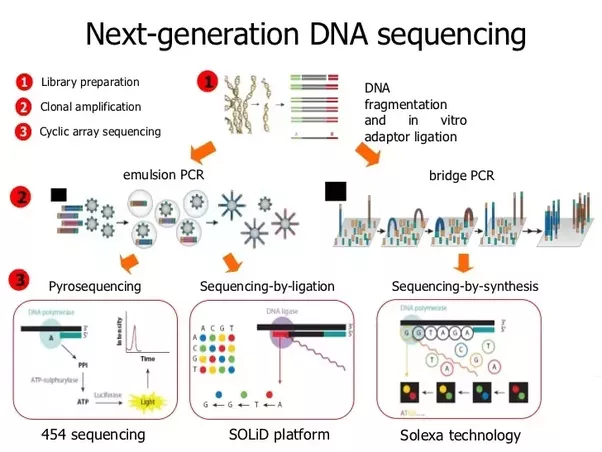 As the price of genomic sequencing has come down, more and more people have been able to access this technology to have their own genome sequenced. Concomitantly, a trove of legal and ethical concerns have erupted. In order for the precision medicine to become the standard of care, a substantial amount of genomic data must be collected from a significant number of people, representative of all the variations of different populations across the world. This need has introduced questions of privacy and ownership of the data. One of the primary concerns with privacy of genomic information for reasons of discrimination. For example, there are fears that people could be denied health or life insurance because markers in their genetic profiles suggest increased susceptibility to degenerative diseases such as Alzheimers. ﻿Premiums for these kinds of insurance polices are currently subject to change based on age and health, but because of the novelty of this kind of genetic information, few countries have legislation regarding how genomic information can be used and accessed﻿. This new field doesn't only lead to risks for patients. Because of the increased use of genomics to identify new treatments for not only cancer, but also many other diseases, doctors have begun to wonder how this will affect their practice. A 2013 study found more than 50 cases in which patients sued their physicians for malpractice relating to treatment or recommendations based on genomic results, reiterating the need for better legislation governing the use of genomic information to treat and diagnose illnesses of many kinds, before personalized medicine can move forward. In theory, precision medicine can eliminate failed treatments, repeated efforts, multiple hospitalizations, and can even prevent disease by using preventive measures against genetically identified disease risk, ultimately reducing healthcare expenditures. However, at its current stage, development and perfection of precision medicine requires substantial investment in research, legal developments, and security infrastructure. Although the cost of genome analysis has come down over the last two decades, the depth of sequencing required (which comes at a higher cost that commercially available kits like 23andme) combined with the repeat sequencing that would be necessary during patient treatment means that this treatment remains costly and is may not be feasible to less funded medical facilities in underserved areas or countries in turmoil. Because of cost, many of the most cutting-edge institutions are developing in-house testing, which helps to reduce cost, however this approach has received criticism because it introduces variation in assay standardization and data interpretation, as we don't currently have a single validated protocol that can be used across institutions. In addition to cost issues surrounding the actual genomic testing, the cost of drug development and testing is substantial. As demonstrated by the SHIVA trial, it might be difficult to simply use readily available drugs to treat mutations identified by sequencing. The more likely scenario is that over the course of many more years, we can use sequencing to identify new mutations in different types of cancer and work to develop drugs to treat them. However, it is estimated that the cost of developing a single new pharmaceutical is in excess of $2.5 billion, a steep price tag for individualized medicine. As a tumor grows and spreads, it develops different needs that activate multiple signaling pathways at different times. This means that the "actionable mutation" can be different in early cancer than in later stages. For example, ﻿clear cell renal cell carcinomas and non-small cell lung cancers both exhibited distinct mutational signatures during early carcinogenesis compared with cancer progression and between different tumor sub-clones﻿. Another study used single cell sequencing to show that tumors from two breast cancers developed point mutations continuously during cancer progression, but copy number aberrations were only acquired early on in tumorigenesis. Next-generation sequencing shed light on the clonal selection processes that govern these newly acquired mutations, most of which favor cell survival and drug resistance, and highlighted the importance of considering evolution in cancer, and the difficulty it can present for finding appropriate drugs to treat tumors with evolving sub-clones. The current future outlook is primarily aimed at addressing the limitations in order to move the technology forward. To address tumor heterogeneity and evolution, the National Cancer Institute announced a trial called the ﻿NCI-MATCH (Molecular Analysis for Therapy Choice) Trial﻿. This trial, which was designed in an effort to avoid previous pitfalls, aims to identify actionable mutations and test whether a drug or drug combinations are active against specific molecular abnormalities in roughly 3000 patients with advanced solid tumors for which standard therapy has not yet been developed. Researchers hope this new design will increase the flexibility of clinical decisions and improve the overall outcome of the patients. Additionally, advances in lipidomics, proteomics, and metabolomics will aid in the implementation of precision oncology. Previous studies have found that signaling pathways controlling lipid generation are very similar to the pathways controlling tumorigenesis. A recent study of lipidomic profiling showed that lung tumors possess higher levels of phospholipids and phosphatidylinositols compared to normal tissues, and that Myc inactivation resulted in a significant decrease in lipid metabolites. This study suggests that lipid metabolites can serve as biomarkers in precision diagnosis. ﻿Another new technology known as cryo-electron microscopy (cryo-EM), which won the 2017 Nobel prize for chemistry, intended to be a tool for “visual proteomics”. This technology fires electrons at cryopreserved proteins, allowing for structural determination for any kind of protein, even those which don't crystallize easily and thus could not previously be imaged by X-ray crystallography. ﻿One example of this technology determined the structure of the ATP-binding cassette subfamily G2, a human multidrug transporter. Data revealed that two cholesterol molecules are bound to a hydrophobic pocket between the transmembrane domains﻿. This technology gives new detail that can be used to identify possible new actionable mutations in tumors. ﻿The gut microbiome possesses copious metabolizing xenobiotics, or small molecules that are foreign to the human body, and research is increasingly showing that these can be important for the regulation of many cellular processes, and can sometimes interfere with the efficacy and safety of cancer drugs. One such drug known as irinotecan, used to treat colon cancer, becomes SN-38, an active topoisomerase inhibitor in the body. SN-38 can then be metabolized by host liver enzymes and subsequently lose its activity. However, bacterial β-glucuronidase found in the gut hydrolyzes and reactivates SN-38G in the large intestine, leading to intestinal damage and diarrhea. Therefore, a deep understanding of microbiota in each patient is crucial in each patient to increase drug efficacy and reduce adverse side effects. Precision oncology- the future of personalized cancer medicine? Precision Oncology: Who, How, What, When, and When Not? Janet E. Dancey et al. Personalized diagnostic testing of cancer cells, counseling for preferred, minimally invasive treatments based on current scientific literature, and monitoring during treatment. Both a patient care group and a research group, they offer tumor profiling using their patented "Molecular Intelligence" and work with doctors to integrate molecular results into patient care. They also promote and participate in research and clinical studies, and promote collaboration between cancer centers interested in moving patient care toward individualized medicine. Precision Oncology provides support for the administrative needs of companies in oncology drug development including patient recruitment, study monitoring and quality control, data management and review, medical writing, international study services, as well as assistance with proof-of concept work, and assistance with biomarker detection.